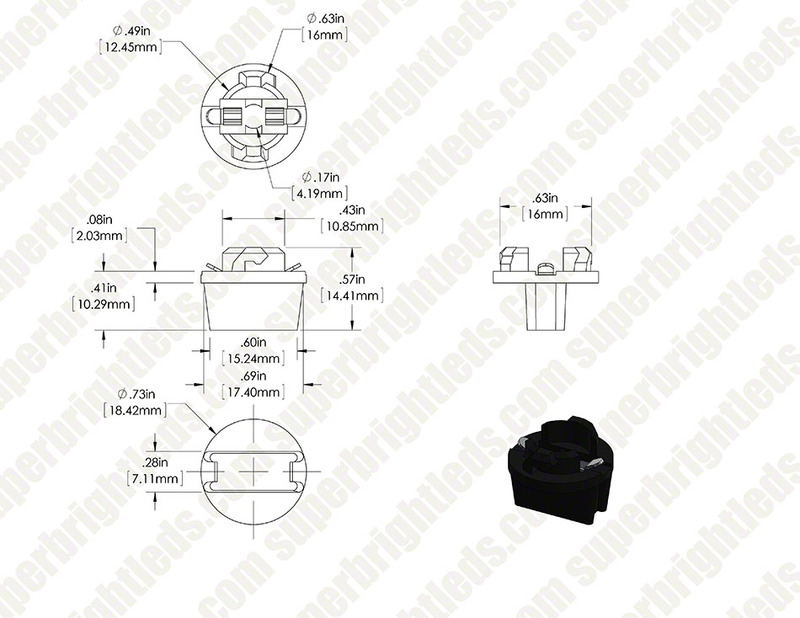 168/194 Replacement sockets accept T3-1/4 miniature wedge bases and all 194, 168, and 921 bulbs. Socket has twist-lock instrument cluster base for easy installation in your dashboard instrument panel. worked amazingly well will definitely recommend to friends and family FAST SHIPPING TOO!!!! These worked perfect. 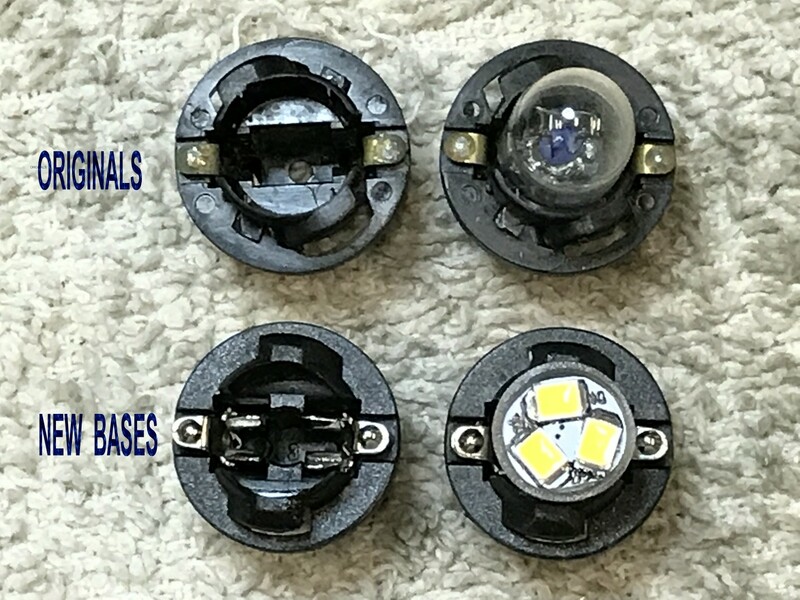 I used these to replace my minivan map lights. You need these to use any replacement bulbs, since the original bulbs are permanently mounted to the stock sockets. 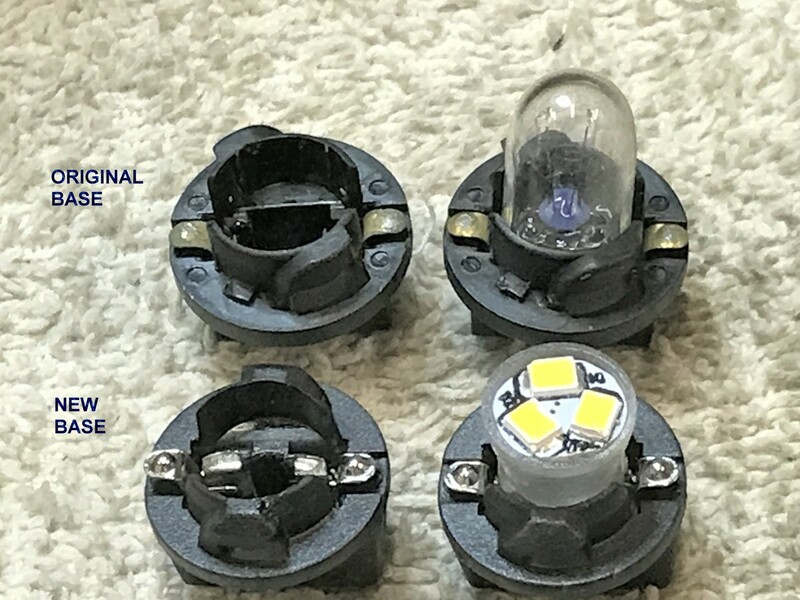 I ordered these with the correct bulbs; however, after installing and then contacting the company, they informed me that the sockets would not work with my truck. 1994 GMC Yukon. They did arrive quickly and was professionally packaged. 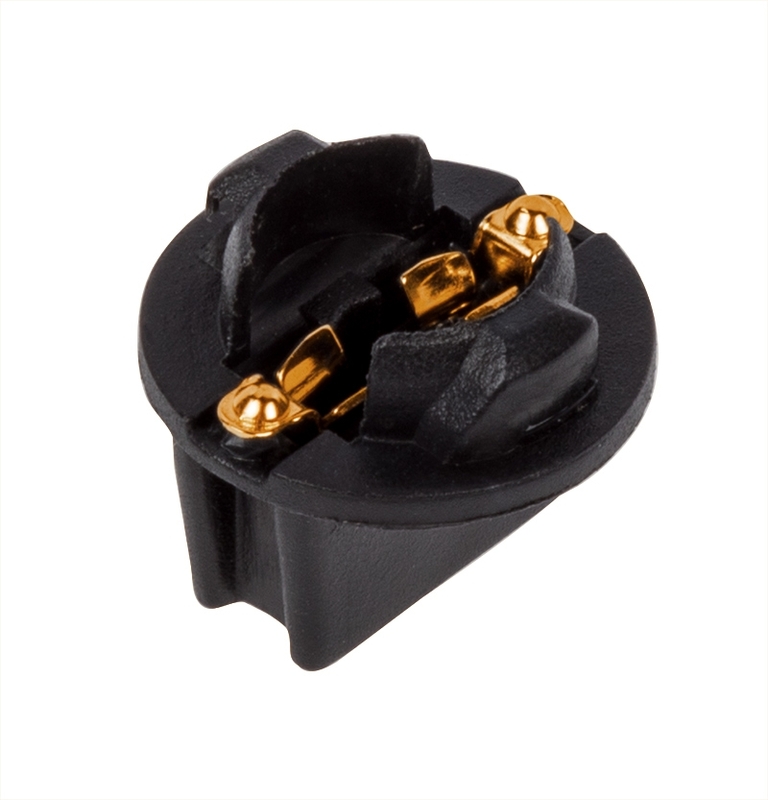 Some GM vehicles use a modified version of this socket with offset connections. Please look at your sockets to see if the connections are perpendicular with the clamps or if they are the modified offset version. Unfortunately, we do not offer an offset version. Chevrolet wanted $17.00 for a PS196 bulb. Replaced with this base and a 194 bulb for $6.00, great deal. These new bases did not correctly fit my 1990 C4 Corvette instrument cluster. I was replacing over 20 incandescent 161 bulbs with LEDs. The original 161 bulbs had the bases attached to the bulbs and could not be reused. When I installed my LEDs in these new bases the contacts do not match the PC board on the cluster, and make for intermittent connections. The mounting pins are about 20 degrees out of alignment from the originals (see pictures) and place the contacts in a slightly different location, that are NOT compatible with some GM vehicles. Thee are dimensionally incompatible. This would be a disaster behind an inaccessible dash. I chose to just bend out the pins on the LEDs and solder them in place permanently (hey they are LEDs and should never need replacing again). Unfortunately, I will be returning these bases back to SBL . It is important ot note that not all GM models use the offset bases and therefore many GMs and other vehicles can use this base without an issue.